Author Interview with Brian Klaas: How Can We Fix Democracy? The end of the Cold War in the early 1990s saw democracy surge as former Soviet autocracies transitioned to democratic systems and democracy spread in Africa and Latin America. But the past decade has seen a reverse in this trend, with authoritarianism and dictatorships making a comeback around the world. In this interview with Peter Carrol on his new book, The Despot’s Accomplice: How the West is Aiding and Abetting the Decline of Democracy, Dr Brian Klaas (LSE Department of Government) argues that Western powers are partly to blame for these developments, and offers a number of solutions to halt the decline of democracy around the world. 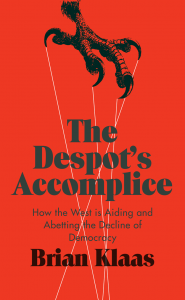 In The Despot’s Accomplice: How the West is Aiding and Abetting Democracy (Hurst, 2016), Dr Brian Klaas draws on fieldwork from Madagascar, Tunisia, Belarus, Thailand, Côte d’Ivoire and Zambia to provide a frontline account from the global struggle for democracy. Dr Klaas identifies two kinds of non-democracies: straightforward dictatorships and autocracies; and ‘counterfeit democracies’, regimes that claim to be of the people, by the people and for the people, but are actually none of the above. But Dr Klaas also highlights the inherent weaknesses of authoritarianism, such as a complete lack of accountability for bad or dangerous policies. 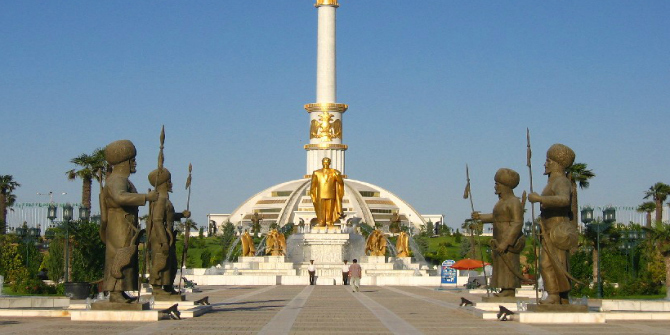 One example Dr Klaas cites is from Turkmenistan, where the former president Niyazov decreed that sick people would benefit from being surrounded by the opulent marble and gold surroundings of the capital Ashgabat, and closed Turkmenistan’s rural hospitals. ‘The proposed Trans-Pacific Partnership – which spans the rim of the Pacific Ocean – makes it clear that free trade zones no longer require shared land borders,’ Dr Klaas adds. ‘I’m not arguing in favour of golden handcuffs for war criminals; they should face trial in the International Criminal Court. But for some former leaders, the least damaging thing to do would be to get them out of the country peacefully to avoid retaliatory military coups or civil wars,’ Dr Klaas added. Note: This interview gives the views of the author, and not the position of EUROPP – European Politics and Policy, or of the London School of Economics and Political Science. It was originally published as a ‘Research Highlights’ feature. If you are interested in this book, you can listen to the book launch’s podcast here. Dr Brian Klaas (@brianklaas) is a Fellow in Comparative Politics in the Department of Government at LSE. He is an expert on global democracy, democratic transitions, political violence and volatility, elections — and the economic risks of all these challenges.